Google and Apple employees are looking at having their commute to work extended by 30 to 45 minutes. The additional travel time is due to rerouting the charter buses used for the drive and is necessitated by protesters attacking the buses. Apple reports that five of its shuttles have had their windows broken out while in transit. The first attack happened last Friday and four more occurred on Tuesday. Google reported that one of its buses was hit on Tuesday as well. All of the attacks have occurred on Highway 280 so both Google and Apple have decided it best to reroute the commute to avoid the area. Unfortunately for staff, this means a significantly longer ride in the mornings and evenings. The new route will net them an extra hour to an hour and a half travel time for work. Similar attacks were carried out about four years ago against Google. At that time, people were throwing rocks at the buses reportedly in protest of Google’s renovation of the area. It is unclear at this time if rocks are being used but it has been suggested that someone might be using a pellet gun to take out the windows. California Highway Patrol spokesman Officer Art Montiel told SFGate that the attacks took place while the buses were moving and occupied. Fortunately, no injuries have occurred. "It appears that they’re going after the unmarked tech buses." The shuttles do not have identifiable markings on them such as logos to indicate which company charters them but they are still recognizable by their colors. 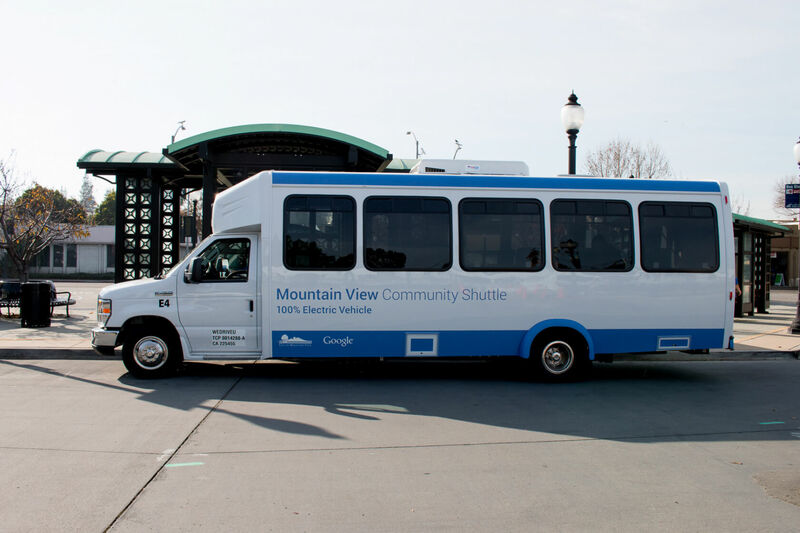 Google buses are white, Apple’s are silver and Facebook’s are blue. CHP also noted that no other commuter transports, such as Greyhound, have reported incidents. So it seems that the attackers are only going after the tech companies. Officer Montiel was not convinced that rerouting the shuttles would be effective against the attacks. It sounds to me like the CHP or the SFPD need to deploy patrols in the area to see if they can’t catch or identify those who are behind the attacks. However, there is no indication that law enforcement plans to act this aggressively.